Carroll Seron is a Professor in the Department of Criminology, Law & Society at the University of California, Irvine; she also holds appointments in the Department of Sociology and the School of Law. At UCI, she has served as Interim Dean of the School of Social Ecology (2015-2016), Associate Dean of the School of Social Ecology (2014-2015), and Chair of the Department of Criminology, Law and Society (2012-2014). During 2011-2012, she was a Visiting Professor at Flinders University in Australia and at the Institute for Advanced Legal Studies in England. Seron’s research agenda primarily focuses on the organizations and professions of law. A leader in the field of Law and Society, she was President of the Law and Society Association from 2014-2015. She is also the former editor of Law & Society Review, volumes 42-44 and has been active in the Sociology of Law Section of the American Sociological Association, serving as Chair for the section in 2008 to 2009. 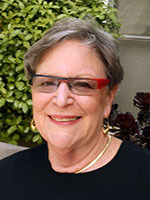 Her research has been widely published in journals such as the Law & Society Review and the American Sociological Review and she is the author of multiple books, including The Business of Practicing Law: The Work Lives of Solo and Small-Firm Attorneys (Temple 1996) and The Part-Time Paradox: Norms, Professional Life, Family, and Gender (Routledge 1999) with Cynthia Fuchs Epstein, Bonnie Oglesky and Robert Sauté. Seron has been the Principal Investigator for multiple projects funded by the National Science Foundation, among other foundations. Her most recent NSF-funded project was a workshop to study California’s prison overcrowding crisis and the state’s policy response. The 2014 workshop, Realigning California Corrections: Legacies of the Past, the Great Experiment, and Trajectories for the Future, has led to a special issue of The Annals of the American Academy of Political and Social Science (co-edited with Charis Kubrin) and an op-ed in the Washington Post, Releasing low-level offenders did not unleash a crime wave in California (co-authored with Kubrin). Traveling around the country and across the world to share her research, Seron’s recent presentations include the 2016 Centre for Engineering Education Conversation Series at University College London, the 2015 Law & Society Association Presidential Address in Seattle, Washington, and the 2015 Asian Law & Society Meeting in Tokyo, Japan.